Fayetteville Therapist: Whitney Gregg - Therapist 28305. Whitney Gregg is a psychotherapist and Certified HeartMath Practitioner specializing in individual, couples and family therapy. She is licensed by the North Carolina Board of Licensed Professional Counselors (LPC #10628) and maintains a private practice in Fayetteville, North Carolina. She knew she wanted to work in the mental health field at a young age. She was devoted to helping others. As a result, Whitney pursued a career in Psychology. She has over eight years of experience as a mentor, military mental health research assistant, and outpatient therapist. She completed her Bachelor of Science in Psychology at Fayetteville State University in December 2009. Shortly thereafter, she realized she wanted to have her own practice and moved toward accomplishing her goal. Whitney obtained her Masters degree from Capella University in September 2013, specializing in Mental Health Counseling. She has successfully met the professional counseling standards established by the National Board for Certified Counselors and has earned recognition as both a National Certified Counselor and a Distance Credentialed Counselor. Currently, she is serving as a private practitioner working with a broad spectrum of clients. Throughout her life, Whitney has experienced situations which led her to work with a specific group of people who changed her career trajectory. Initially, Whitney wanted to serve children as a Psychologist. During her undergraduate studies, she determined a different path. Her immersion into the military lifestyle led to Whitney’s primary areas of expertise. Those areas of expertise include treating clients who have experienced trauma or have been diagnosed with Post-traumatic Stress Disorder and Anxiety Disorders. Whitney understands the impact major life changes can have on a person's mental state. Her level of understanding coupled with her education and experience make her an ideal therapist. 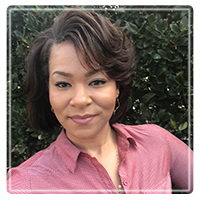 In addition to being a prominent psychotherapist, Whitney has presented at local symposiums and general audiences on the topics of Caregivers Support, Communication Skills, Substance Abuse in the Workplace, and Stress Management. She shares her knowledge with those who may not have access to it in an effort to adjust the way counseling and therapy are perceived. Whitney is an interactive, solution-focused therapist. Her therapeutic approach provides support and practical feedback to help clients effectively address personal life challenges. She integrates complementary methodologies and techniques to offer a highly personalized approach tailored to each client. With compassion and understanding, Whitney works with each individual to help them build on their strengths and attain the personal growth they are committed to accomplishing.